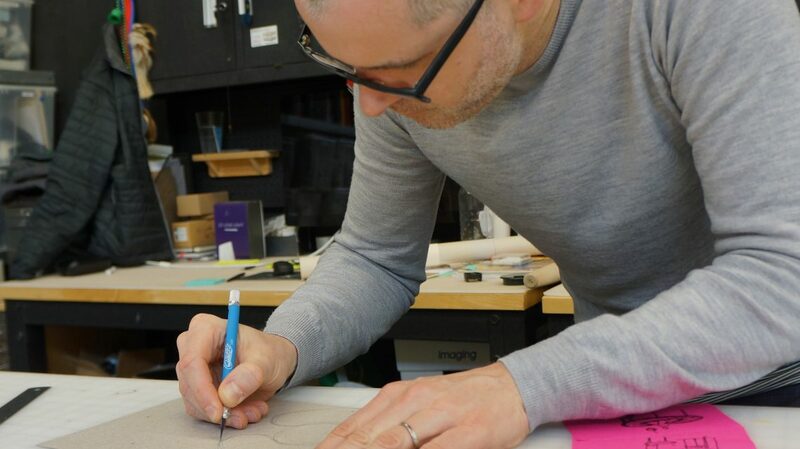 Blurring the boundary between architecture and design, Lawrence Abrahamson (MDM 2010) takes a multidisciplinary approach to his role as an environment designer at IDEO. Fascinated by the idea of how people perceive and interact with space, Lawrence pursued architecture in his early career. But after about a decade of designing for major architecture firms, Lawrence wanted to focus on more human-centered work. He was interested in teaching, and ready to approach design in a new way. He spent three years in Singapore, during which he conducted research with Nanyang Technological University on how space is perceived and experienced in Asia. When he moved back to the US, Lawrence realized that ID’s Master of Design Methods program could offer the guidance he needed to shift his career and continue exploring different perspectives of space. Since graduating in 2010, Lawrence has taught as an adjunct professor at ID as well as at the School of Visual Arts in New York. But on a typical day he is working to use space and services to solve client challenges with IDEO.